Here’s an L.A. Times link with a podcast discussion of books and how they are evolving thanks to technology. I include these links because of my recent post on the iPad. There is a lot of discussion going on right now regarding how technology will evolve the book, and whether eReaders will kill the physical book itself. Books have been around 100’s of years and have outlasted many past claims of their death. Yet, it’s exciting to witness this latest major transformation. My daughter may miss most of it because she may not remember what it was like before books transformed into digital files, though she’ll see plenty of reminders in the house. Here are some random photos I’ve taken related to past posts. 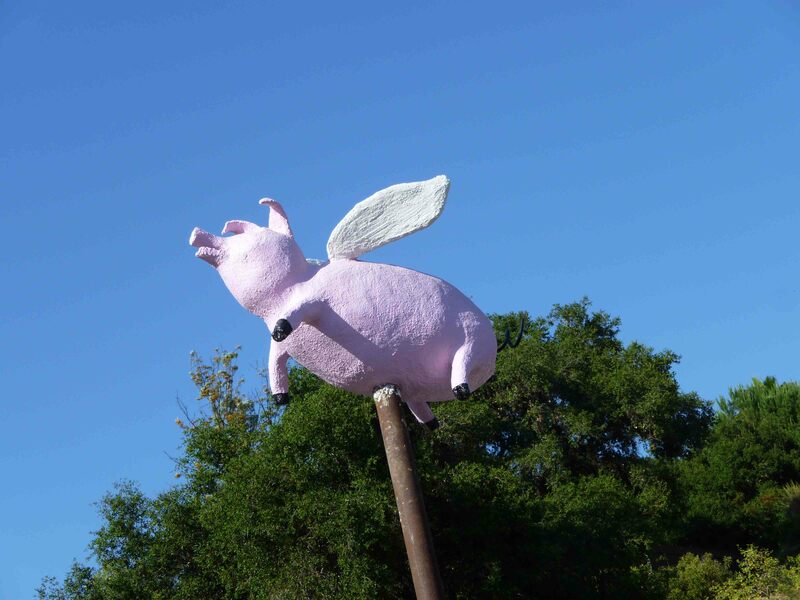 This pink pig sits on a pole in Topanga Canyon. It must have been the figure head for a business at some point, though no business remains, or I missed it if it does. Now the pig stands guard as an oddity and mystery of old Topanga. I decided to free the pig from its painful perch atop the pole. Thank you, Photoshop. I hope the lucky pig finds a new home now that it can fly away. 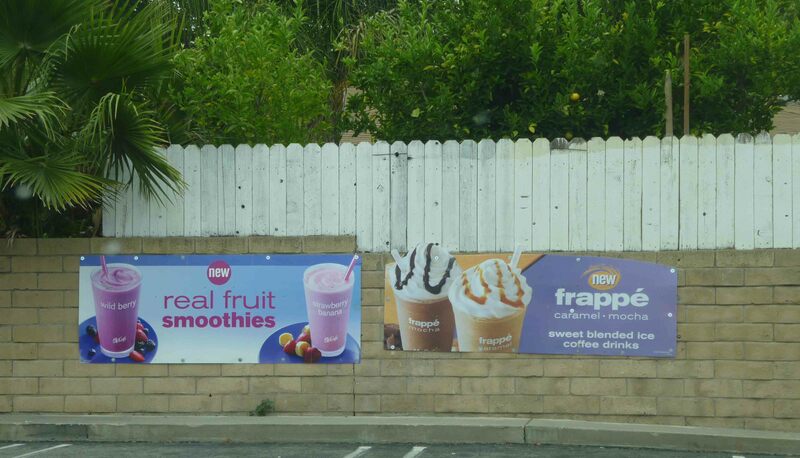 When I saw the banner for smoothies at McDonald’s I almost crashed my car. I have yet to find out the ingredients and caloric count of these, but I suspect a plot of some kind. Healthy smoothies at McDonalds? Hmm, why am I suspicious? Perhaps I am suspicious because “McDonald’s” isn’t printed on any of the advertising. Check out their web page and you’ll notice the use of “McDonald’s” is downplayed. “McCafe” appears more often. Interesting. Name change in the works? 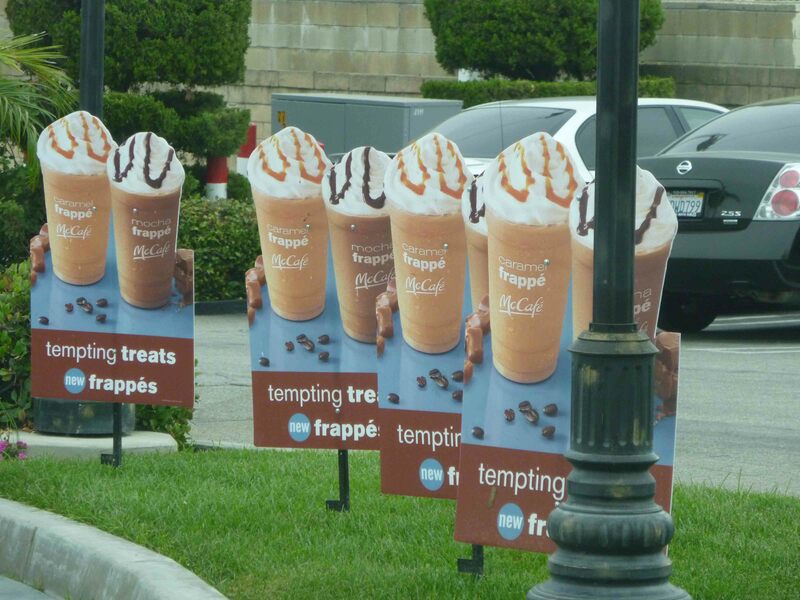 Why do I feel like ordering a Frappe? I believe subliminal advertising works. I’m not sure if this qualifies as subliminal, but it’s either brilliant marketing or overkill. How can you get through the line without noticing these on a conscious or unconscious level? The drinks look more tempting than anything else you might eat in your day. Let’s just eat desert all day long. No wonder my daughter wants treats all the time – the world works her over with tasty images of high caloric treats. Who can resist? 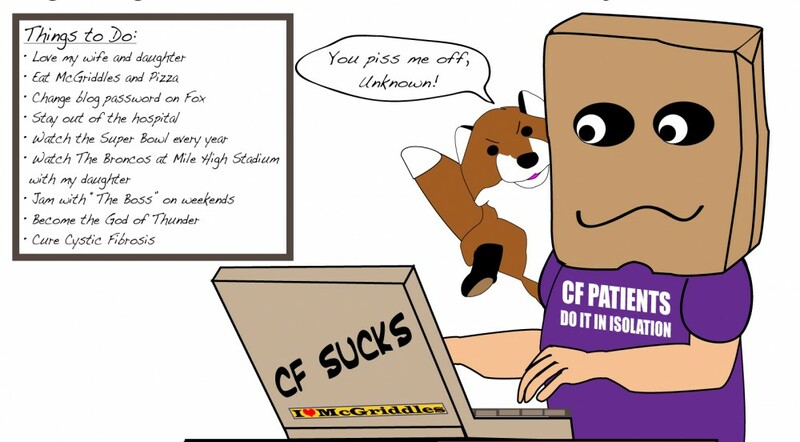 This entry was posted in Fun & Humor, iPad, Technology and tagged iPad, Los Angeles by unknowncystic. Bookmark the permalink.